All exercises now include metric equivalents alongside the original imperial measurements. “Drawing Compare” and “Shared Views,” making working with clients and 3rd parties infinitely easier. New “CAD Tips” scattered throughout the book, providing shortcuts and suggestions from our expert author. Cheryl Shrock is a retired Professor and Chairperson of Computer Aided Design at Orange Coast College in California. She developed the world-reknowned AutoCAD® Exercise Workbooks for classroom and self-study use as a result of both her teaching skills and extensive industry experience. An acclaimed AutoCAD expert, she is an Autodesk® registered author.Steve Heather is a former Lecturer of Mechanical Engineering and Computer Aided Design in England. For the past 8 years, he has been a Beta Tester for Autodesk®, testing the latest AutoCAD® software. Previous to teaching, and for more than 30 years, Heather worked as a Precision Engineer in the aerospace and defense industries. 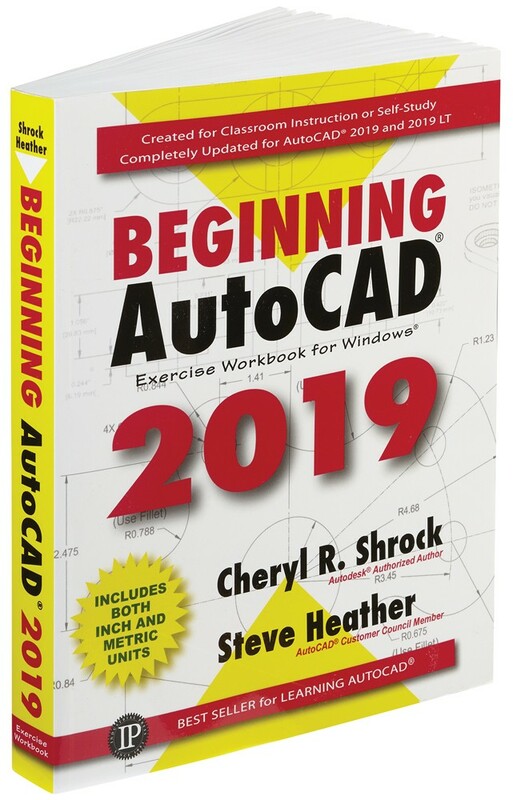 In addition to co-authoring the Beginning and Advanced AutoCAD® Exercise Workbooks and the AutoCAD Pocket Reference, he also is author of AutoCAD 3D Modeling and the Engineers Precision Data Pocket Reference and is a key engineering consultant and contributor to the Machinery's Handbook.